Waiting for final grades to be posted is a terrible experience defined by an abundance of anxiety coupled with the constant refreshing of Mosaic. Usually, this biannual waiting game ends before the new year for fall term grades and before the beginning of May for winter term. At that point, the “grade anxiety” faced by so many students, myself included, has subdued. This time around, however, I am still waiting on a final grade nearly two months after the course ended. A situation like this should never occur at McMaster University and needs to be addressed by mandating grade submission deadlines for course instructors. Such a mandate is not without precedent. Carleton University requires that instructors submit their final grades within 10 calendar days of the course’s final exam. The University of Western Ontario grants instructors even less time, requiring submission of final grades within a week of the final exam. Besides Carleton and Western, the University of Regina, the University of Victoria, the University of Windsor and Ryerson University are other postsecondary institutions which have implemented grade submission deadlines for instructors. It is evidently not a new idea. Despite this, McMaster currently has no policy that requires instructors to submit final grades by a specific deadline. This is beyond an inconvenience and only serves to complicate students’ lives. For example, should an instructor fail to submit marks by the drop-and-add deadline for a prerequisite course, students’ registration in a secondary course may be thrown into limbo. Simultaneously, students planning on taking a second course based on their performance in the prerequisite class are withheld critical information that would likely dictate their decision to take the second course or not. Even more alarming, a long delay in the submission of final grades can create a negative impact for students eyeing graduate studies. Given that grades are required to be reported to an applicant’s desired graduate school as early as late December, an instructor sitting on their hands can put prospective graduate students in a completely unnecessary pinch. With so much riding on those applications, McMaster is doing a disservice to its students by failing to force accountability onto its faculty. 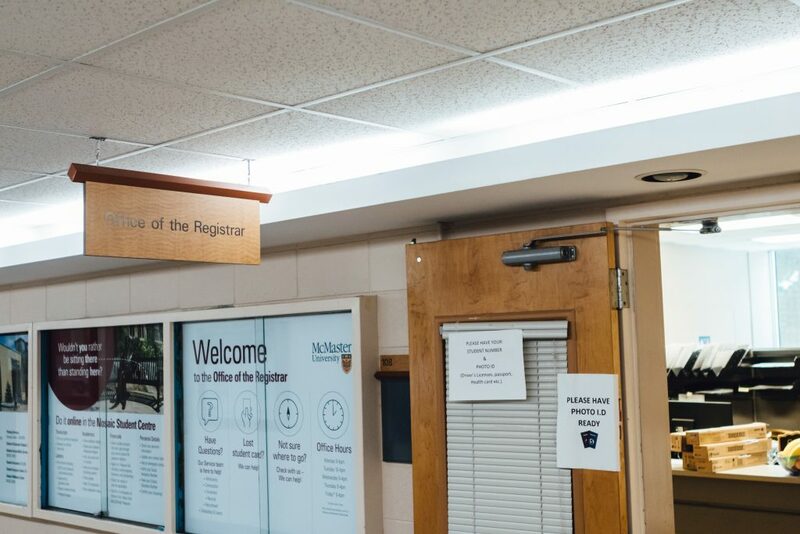 Moreover, McMaster’s mission to promote health and wellness amongst its students could be furthered by mandating a grade submission deadline. As the time between when a student finishes a course and subsequently receives their final grade is variable and can last for weeks in length, existing academic anxiety is worsened. A mark deadline could quell some of the existing anxiety by limiting the amount of time students spend worrying about marks they have yet to receive. Additionally, a grading deadline would provide students with a much more concrete timeframe to expect their marks, limiting any anxiety derived from the uncertainty of when grades will be uploaded. As students, we should not have to deal with the mental and bureaucratic turmoil created from the inability of instructors to submit our marks promptly. Such issues could easily be averted by requiring instructors to provide their final marks by a specified date. Besides, as instructors demand us to submit our assignments on time, is it not time that they get a taste of their own medicine?